Earth Force Command is the first line of defense against Invaders From Space! 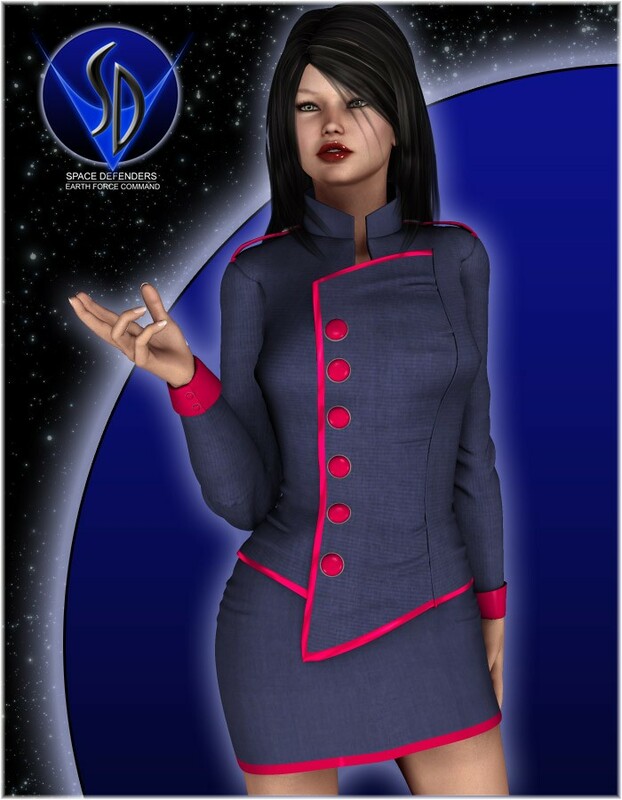 The Communications Officer serves a key role by keeping all of the ships in Earth orbit in contact with each other and Earth Force Headquarters. 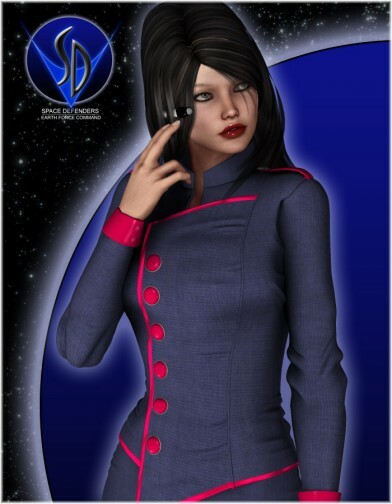 The Comm Officer's uniform consists of a military issue coat and skirt, as well as shoes, earrings, and a communication earpiece. The outfit also comes with all applicable CrossDresser adjustment morphs for eacy posing. 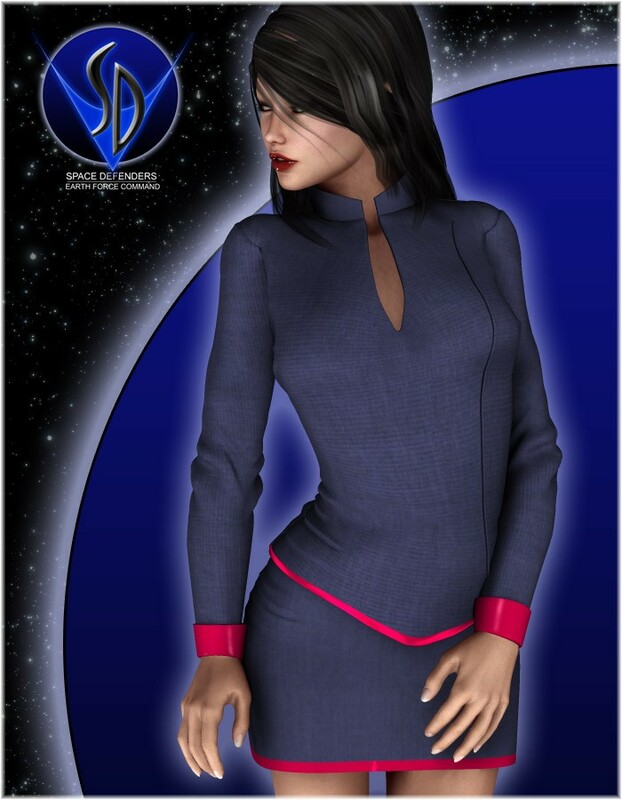 Full body morphs available in the EvilInnocence free stuff section.